Recently I had the opportunity to select the Epson Home Cinema 4000 4ke Video Projector from Amazon Vine Voices. Seeing that as part of our homeschool coop the kids do presentations sometimes I thought it would be great to have in order to project their presentation on the wall… that was before we realized the size of this particular projector. After selecting the product to review, my husband and I discovered the size it would be…. and he was laughing while saying “There is no way you will be carrying this around!” You see this particular projector is big and weight over 11 kg. So yes it was indeed out of question for carrying to coop. So we were debating what to do…. maybe I should just forget about it. But hubby decided to go check in the basement with one of our boys to determine if it was feasible to remove the television and install this “beast” on the ceiling. They came back upstairs with a decision – we will install it at the ceiling. So when I got the Epson Home Cinema 4000 4ke we waited about a week before testing it. Not at the ceiling mind you – that will be done sometimes hopefully in December. But we have a foldup table and installed it on the back of our sofa. WOW! The colors are absolutely stunning. the resolution on this projector is absolutely amazing. In our living we currently have a 60” television on the wall. We were able to bring the size to 120” on the perpendicular wall. If we would bring the projector closer to the back wall of the room, we would be able to have a bigger area covered on the wall. Nevertheless, looking at a movie on a size of 120” is fabulous. Note that our walls have a light yellow color so it isn’t necessary to have a white wall in order to see the colors properly. I mean Lighting McQueen was at his best on the wall of our living room! And our living room is fairly small but the capacity of coverage from the projector made it feel like a small private theater. This particular project also comes with a smart motorized lens which allows you to adjust the lense in order to have the biggest, straightest and most amazing view for your movie. Needless to say that we are very impressed with the projector. However, I need to highlight a few things about it if you will consider to get one. 1) It does not come with speakers so you will need a different system to handle your sound. 2) If you desire to install it at the ceiling, you will have to purchase a ceiling bracket. Note that the projector comes with a remote control but you can also use the buttons found on the device as well. So we are very pleased with the quality of this Epson Home Cinema 4000 projector. Now we only have to find the time to install it at the ceiling after we have purchase a ceiling bracket and got an electrical outlet installed. We have a few expenses to do for installing it but when it will be done I think it will be amazing in our basement area. The Epson Home Cinema 4000 4ke Video Projector is available for purchase at your favorite electronic store, even on amazon.ca and amazon.com. • Includes: Adventure figure, droid, lightsaber, holster belt, vest, pair of boots, 2 arm wraps, skirt, and blaster. 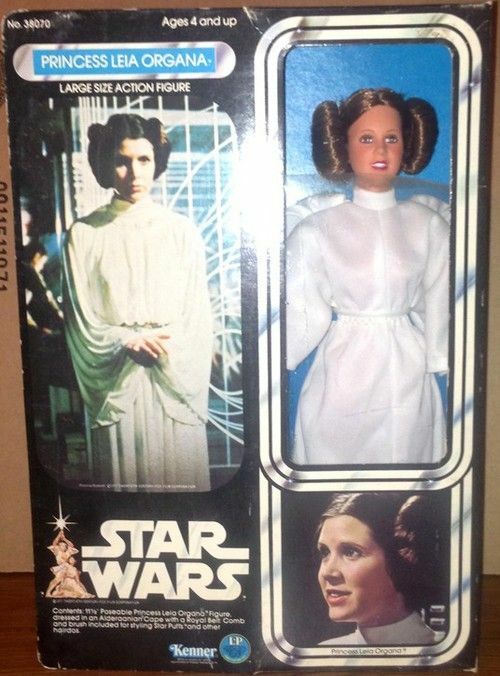 I remember when in the 70s I got the Princess Leia doll. She was bigger than the other dolls I had but I was delighted to have her. Fast forward to 2017 and a new line of Star Wars dolls have made their appearance on the market. The Star Wars Forces of Destiny dolls look much more like the characters than my old Princess Leia… My daughter had spotted them already in one of the toy store Christmas catalogue and thought they were just fabulous. I wasn’t too sure about them until I saw some at the Wal-Mart near our home. They are absolutely stunning! I saw the detail in the costumes, the features in the face, and the beautiful colors. Hasbro has done a tremendous work in bringing these women characters to life for little girls. I have received Rey of Jakku with BB-8 to review. I love the little strands of hair falling on both side of the face. One arm is bend and a lightsaber is included. Press the legs together and Rey will swing the lightsaber. As for BB-8 the head will spin just like the real character in the movie. I find that this doll is really well done and I suspect that many kids who love Star Wars will enjoy playing with it. Other figures are part of the Star Wars Forces of Destiny are Endor Adventure, Jyn Erso Adventure, Princess Leia Organa and R2-D2, Rey of Jakku, Sabine Wren, and Chewbacca. As you can see each and every one of them are absolutely special in many ways (well except Chewbacca to be honest – I think he is a bit too scary…). Hasbro Canada has agreed to give away one Rey of Jakku & BB-8 to one of my readers. Fill the requirements below for more chances to win! Note: Contest is open for Canadians only! Contest is on until November 30th. Draw will be on December 1st. I will contact the winner in order to get the mailing address and pass the information to my contact at Hasbro Canada. The Star Wars Forces of Destiny dolls are available for purchase at your favorite store, even on amazon.ca and amazon.com. Note that on Amazon.com you will find the Ashoka Tano doll. Experience intense head-to-head competition with the precision and power of the Nerf Rival Nemesis MXVII-10K blaster. This fully motorized blaster has a high-capacity hopper that holds up to 100 high-impact rounds. Fill the easy-loading hopper and unleash a blistering blast of rounds at a velocity of 100 feet per second (30 meters per second). The blaster is available in blue and red (each sold separately), so choose a color and go into battle as Team Red or Team Blue. Power it with batteries or the Nerf Rival Rechargeable Battery Pack (batteries not included and battery pack sold separately). Includes 100 high-impact rounds. Experience the intensity of Nerf Rival with the Nemesis MXVII-10K blaster! Includes blaster, 100 rounds, and instructions. NERF blasters are a big part of my kids life during the school year. Why? Well at the church we attend, they sometimes held NERF nights for junior high and high school students. And my boys love going to these events. So it was a no brainer for me to review the NERF Rival Nemesis MXBII-10K because I knew that it would be a popular blaster for my kids. This blaster is different that other blasters on the market because instead of having darts that you will shoot at your opponents, you have high-impact rounds the size of a small ball. Mind you picking these ups can be an exercise in itself... especially at an event called Nerf Nights. Like it or not the child who will be using this blaster will have to run after the balls at some point. But still the blaster has huge potential in bringing fun in an event where you are suppose to reach the target whether human or non-human. Usually, the NERF Nights are organized in such a way that the kids get challenges as well as hiding techniques to achieve. So a great 2 hours with friends and adults for a child of any age. This blaster requires 6D batteries..... yes you have read right... six of the big batteries! And the age recommendation for this particular blaster is ages 14 and up. Why? You might be wondering. Well, to be honest the blaster is heavy and would take two hands for you to handle it. Trust me. I am an adult and I find it heavy to hold. So imagine holding it on an extended period of time while waiting for a target to show up. On another hand, it will allow you to make muscles for sure after using this beast for 2 hours. The blaster possess a feed that can be continuous or set as a one at a time depending on how you press the release button. You will also find a trigger lock on it. Included in the box is 100 rounds that are easy to insert in the hopper for quick play. With this blaster you could easily set up a target stand at home or outdoors for practicing your shooting. We are planning to do just that when camping season opens back next May (six months to wait…) and we go at the RV for the week-ends. It would be a fun competition as a family in order to determine who is the best precision shooter. We could make teams or compete individually. Two different colors of blasters are available - team red or team blue. This allows you to have two teams battling each other. If you are looking for a good blaster, I would highly recommend any products from NERF. They are quality made and will provide fun time for sure. The NERF Rival Nemesis MXBII-10K is available for purchase at your favorite toy store, even on amazon.ca and amazon.com. It is available in blue or red. An inspirational building book for fans of the LEGO® DC Comics Super Heroes series that comes with an exclusive LEGO® Green Lantern™ Minifigure and spaceship model. LEGO® DC Comics Super Heroes: Build Your Own Adventurecombines more than 50 ideas for building with enthralling story starters from the world of LEGO DC Comics world. Get inspired to build, then play out Super Heroes adventures of your own using your LEGO collection. The Build Your Own Adventure sets, available through DK Canada, are very interesting for LEGO fans. Not only does it contain a book which provides ideas to build interesting scenes but you will also find Lego pieces. This specific Build Your Own Adventure is based on DC Comics Super Heroes and will give you a unique mini figure – Green Lantern. This mini figure is only available in this LEGO Build Your Own Adventure set so if you desire to obtain it, you have to purchase this fabulous DK book. The box contains 84 pieces of LEGO which will allow you to build Green Lantern and his spaceship. Both design are exclusive to this book. The book itself will allow you to obtain 50 building ideas linked to the world of DC Comics. My kids are pretty fond of DC characters and knows quite a bit about them. This book and the LEGO pieces will join the other kits they have. And with a son who enjoys doing stop motion videos with his LEGO you can be sure that Green Lantern and his spaceship will join the rest of his mini figures. The book itself is divided into five chapters which provides you with ideas to build your own stop motion movie. Some pieces might be necessary in order to build the scenes but nevertheless there are fun building time and play time guaranteed with this book. As you go through the book you will have a good visual as well informative text to help you build the scenes. However, do not expect a step-by-step how to build it information because that is not available. However, the images are pretty clear in showing you how it looks like. The only step-by-step instructions available in the book are to build Green Lantern and his spaceship. If you have a child who enjoy super-heroes and LEGO, you can be certain that he/she will enjoy this special book. It is a perfect birthday or Christmas gift for DC and LEGO fans. LEGO DC Comics Super Heroes Build Your Own Adventure is available for purchase at your favorite bookstore, even on amazon.ca and amazon.com. There is a new game in store this Christmas season – DROPMIX from Hasbro and Harmonix. Essentially the game is a music mixing game which uses a mix of physical cards that possesses embedded chips. However, be warned that you will need either an Apple or Android device to play the game because you have to download the app and communicate with the board via Bluetooth. The box comes with 60 cards and an electronic game board with five marked spaces. Each cards represent a different song. Note that you will also have the possibility to purchase new music samples by getting new cards as booster packs. Each booster packs contains different number of cards. Each card can be used on at least one of the four colors represented on the board. Each color represent a specific aspect of a song. For example: while yellow will highlight vocals, blue on the other end would have the drum tracks. So all you have to do is drop the card in the appropriate spot in order to create a mix or make points. Some cards (FX) will trigger special events while other ones are considered Wild Cards which means you can play them in any mix slots. You will need 15 cards to make a playlist. Oh and the cards have a different level of power from 1 to 3. A card with a power level of 3 will have more impact on the mix compared to a card of power level 1. As mentioned before the board has five spaces to insert the cards. Three of these spaces will accept cards of two different colors while the two other spaces only accept a specific color of card. There are three ways of playing Dropmix. CLASH: The goal is to reach 21 points first. You can explore a variety of combos in this version. Strategically play your cards in order to win and expect the unexpected with the music you create. PARTY: In this mode, you will work together to answer requests quickly in order to get the highest score. FREESTYLE: In this mode, you can discover new music by connecting the cards on the board. You have the possibility to customize and tweak the mix until to are satisfied with what you have. Then you can show it to your family and/or friends. Additional cards can by purchase with the DROPMIX Discover Packs (series 1 or 2) or the DROPMIX Playlist Pack (Derby-Pop, Astro-Electric, Ouroboros – Rock, or Mirrors – Hip Hop). Below is an example of some of the songs you could have in the cards. If you have a budding DJ in your home or if yourself like to mix songs, I think that this game will be interesting. Not everyone is a big fan of music and mixing your own tunes so I am unsure on how this game will be received. However, I can see potential with it because you can make your own music for parties and so on. So yes, the game is in interesting concept that is worth checking if you are into music and mixing. DROPMIX and the packs are available at your favorite store, even on amazon.ca and amazon.com.